This easy to make Homemade Cranberry Sauce made from whole cranberries is so bright, fresh, and full of flavor that you will never want to buy cranberry sauce in a can again! 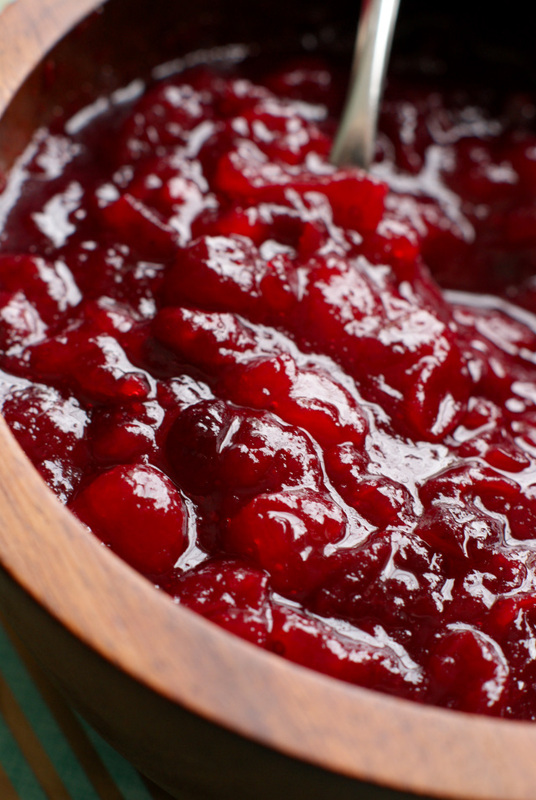 Cranberry sauce is a holiday staple that I haven't always enjoyed. When I was little we always had the jellied cranberry sauce for Thanksgiving and I was never a fan. I always put a slice on my plate because it was pretty, but one or two bites is all you would get out of me. Fast forward like a million years to now and I am singing a different tune. 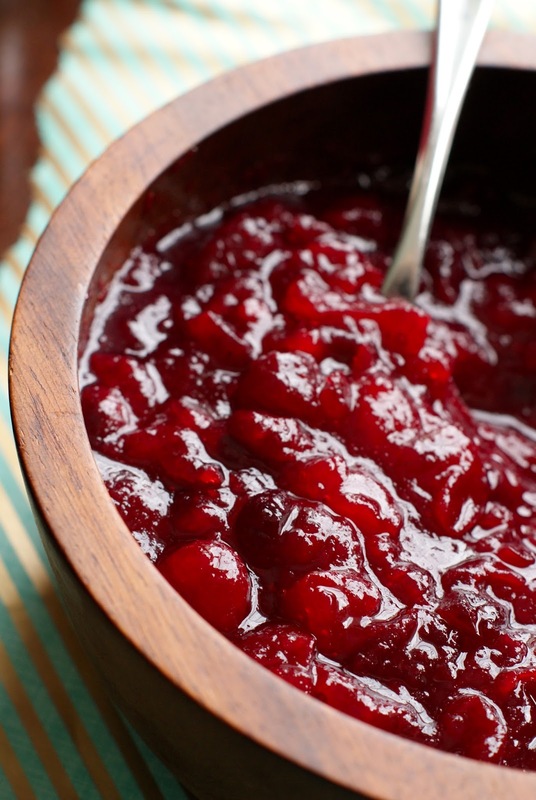 I am now a bonafide cranberry sauce lover! Not the jellied stuff, though. Oooooooh no. Still not a fan of that. Now, I make my own whole berry cranberry sauce for the holidays that has just three simple ingredients. Well, not including water, but that doesn't count. Just three ingredient, guys! Seriously, though, it is so so easy to make and the flavor is out of this world. I like to use a touch of orange juice for a little bit of citrusy brightness I think compliments the cranberries so well. 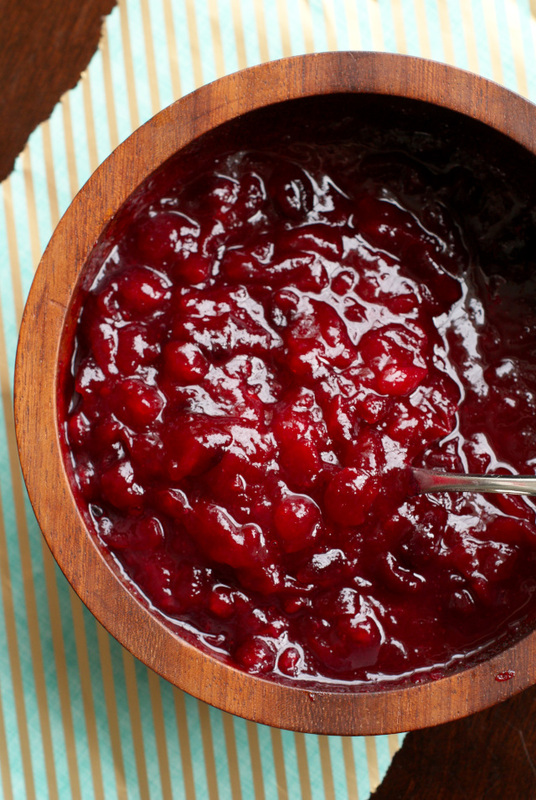 If you're not making homemade cranberry sauce with fresh cranberries this holiday season, you are missing out! Do it! You won't be disappointed! 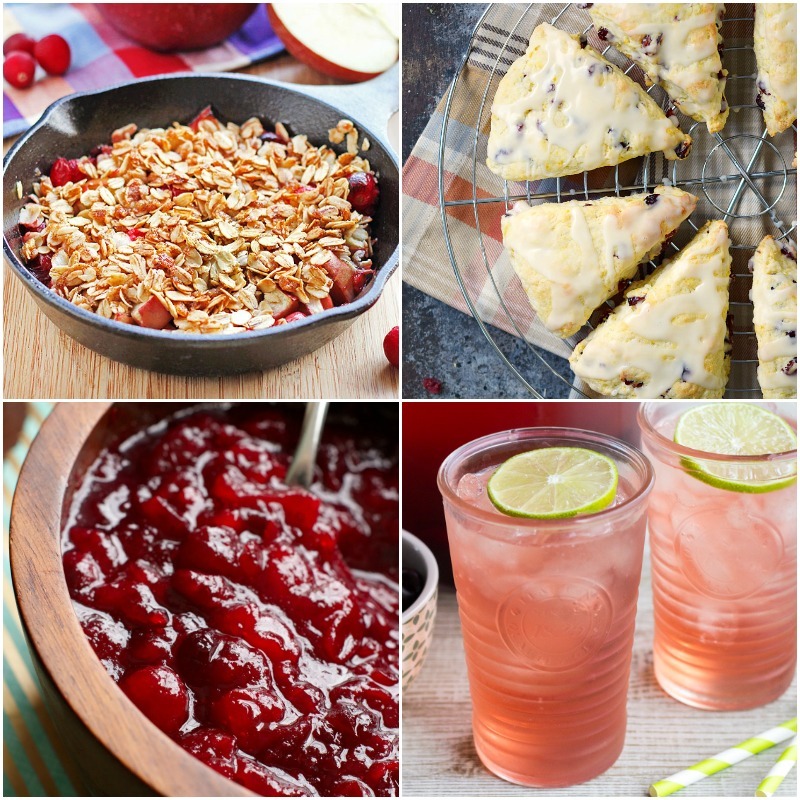 Here are even more delish cranberry recipes from my friends in the Feast & Devour Cooking Club. Hooray for cranberries! Wash the cranberries and pick out any bruised or damaged ones. Put the orange juice, water, and sugar into a medium saucepan over high heat. Bring to a boil, stirring until sugar is completely dissolved. Add the cranberries to the pan and reduce heat to low. Simmer the cranberries for 10 minutes. The cranberries will thicken as they cool. You can serve them warm, cold, or room temperature! I always make my cranberries the day before I am going to serve them.